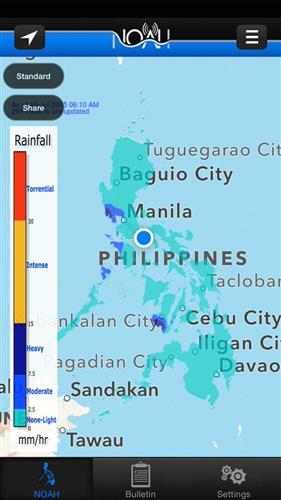 Habagat continues to bring on-and-off moderate to heavy rains across the western provinces of Luzon & Visayas today until tomorrow. 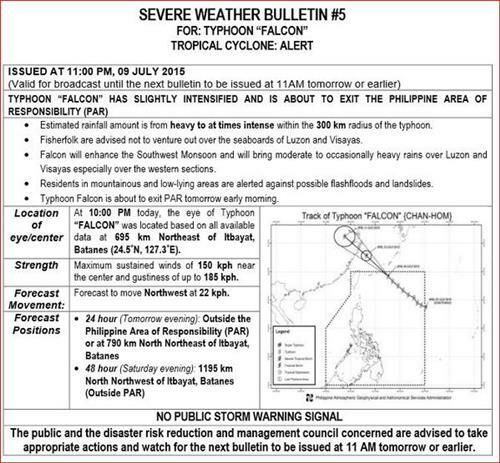 #FalconPH is now outside the Philippine Area of Responsibility. 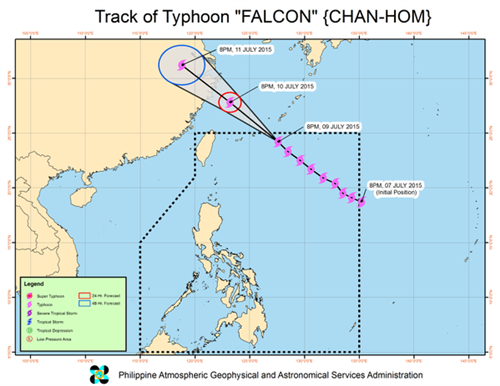 TC Update: as of 01AM today 10 July 2015, Typhoon #FalconPH was located at 685 km Northeast of Itbayat, Batanes (25.0°N, 126.7°E). 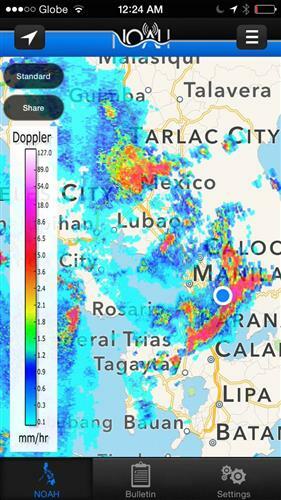 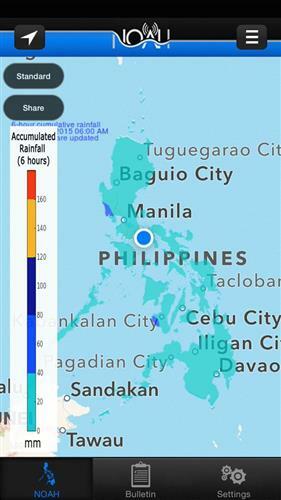 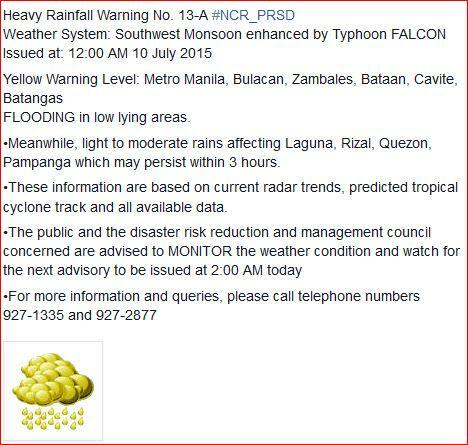 Lgt-mod rains affecting #Panay Island; # Palawan, w/c may continue for 1 to 3 hrs. 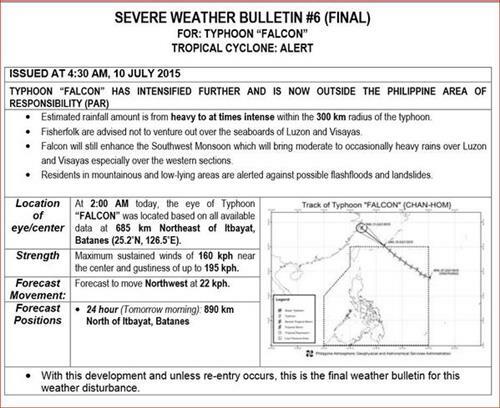 #FalconPH has slightly intensified and about to exit the Philippine Area of Responsibility.